The maximum power harvest of a solar pyramid, which may be applicable to the Phileas Rover of the Austrian Space Forum, OEWF, can be investigated by the PhotoVoltaics libraray. 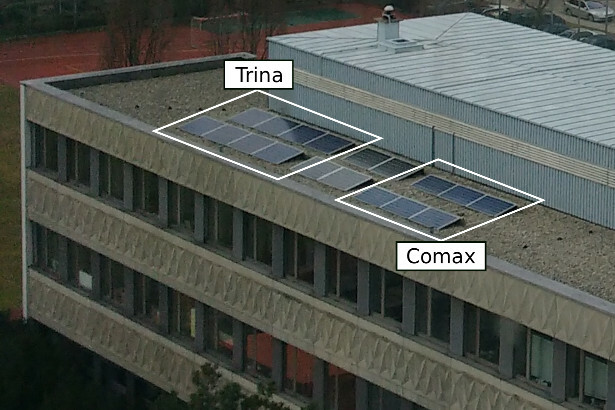 Actual irradiance and electric power measurement data of the TGM power plants Trina and Comax in are provided in the PhotoVoltaics_TGM library. Measurements and simulation results can be compared by the provided example models. The PhotoVoltaics_TGM library relies on the Buildings library. 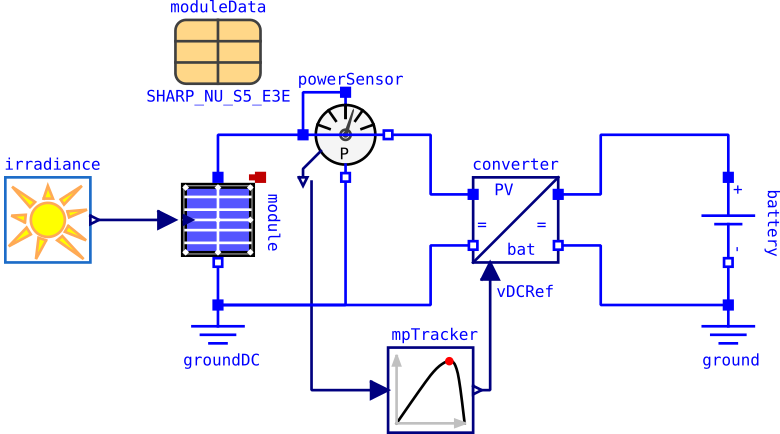 The three phase transient multi phase converter was contributed by Luiz Bueno, RWTH Aachen, Germany.